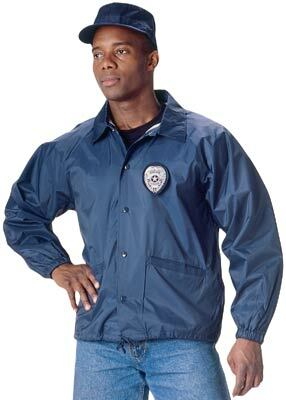 CHAQUETA AZUL MARINO, IDEAL PARA TRABAJO POLICIAL. ACOLCHADO INTERIOR. NYLON IMPRIMIBLE. 2 BOLSILLOS FRONTALES, MUÑECAS AJUSTADAS ELASTICAMENTE.